Katie Uhlaender thought after her third trip to the Winter Olympics that she was once again going home without a medal. Then, it seemed that she might own some Olympic hardware after all. Ultimately, however, Uhlaender will enter her fourth Games still seeking that elusive symbol of success. Uhlaender, 33, is a veteran in the World Championships and the Olympics. Born in Vail, Colo. and raised in nearby Breckenridge, she’s competed in eight World Championships and three Olympics. The 2018 Games in PyeongChang will be her fourth. 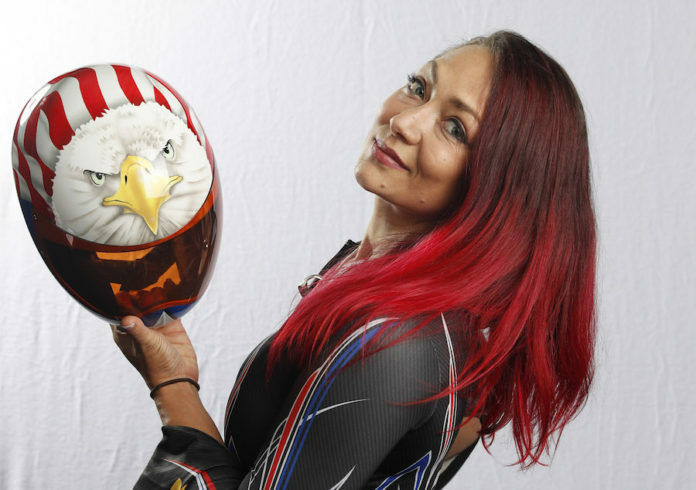 Her most memorable and somewhat controversial finish came in Sochi in the 2014 Winter Olympics where she placed fourth in the Skeleton event. She lost her medal by a mere .04 seconds. Her fourth-place finish could have been upgraded to a bronze medal finish after Russian Elena Nikitina was stripped of the bronze medal by the International Olympic Committee on doping charges. However, the committee eventually overturned this decision, giving the bronze medal back to Nikitina. Uhlaender had a promising belief that her fourth-place finish would be upgraded to the bronze medal, but that belief was taken away on Feb. 1, 2018 — nearly four years after the medal was first awarded — when the Court of Arbitration for Sport overturned bans against Nikitina. Sanctions against 11 other Russians were left in place. However, the IOC reduced their penalties from lifetime bans to suspensions from the PyeongChang Games. Uhlaender spoke about the incident and explained that the Olympics and the IOC is under strict scrutiny heading into this week. Despite the controversy stemming from her last Olympics, Uhlaender looks to podium this time and not leave anything to chance. Uhlaender has something to prove after seeing her medal disappear — again — so near to this year’s Games.